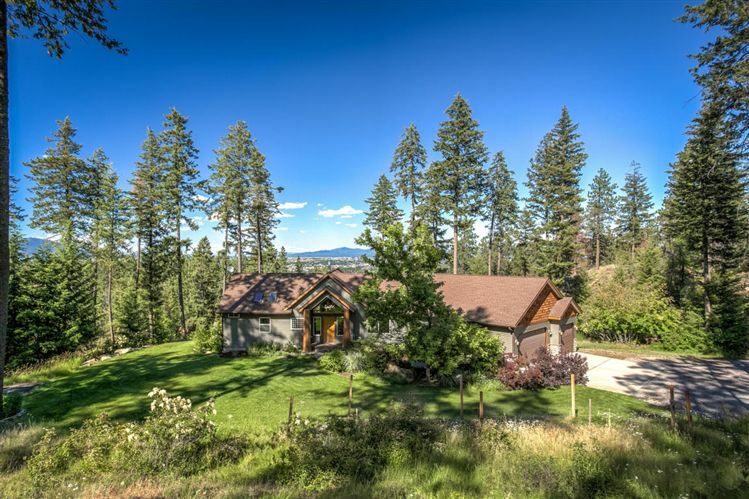 Custom home on 6.5 acres in convenient location only 5 minutes to freeway and town. Private treed setting. Gated area shared by 2 other residents. Home has 4 bedrooms with a large office and workout room that could allow for more bedrooms. All appliances included. Soaker tub and large double steam shower in master suite. Rock, gas fireplace in living room. Family/rec room on lower level. Walk-out basement with large deck. Storage building. Great views of city and valley.